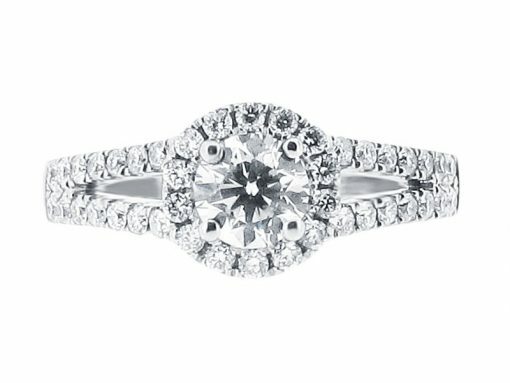 Our stunning round brilliant cut diamond engagement ring features a twist on the classic round halo style with a beautiful split diamond set band. 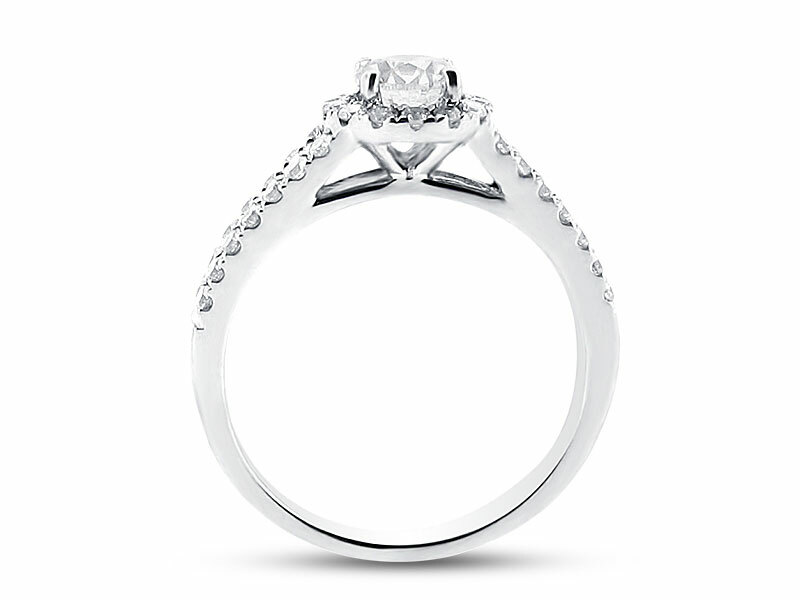 Scallop set for maximum brilliance, this ring features beautiful round brilliant cut diamonds on the shoulders. 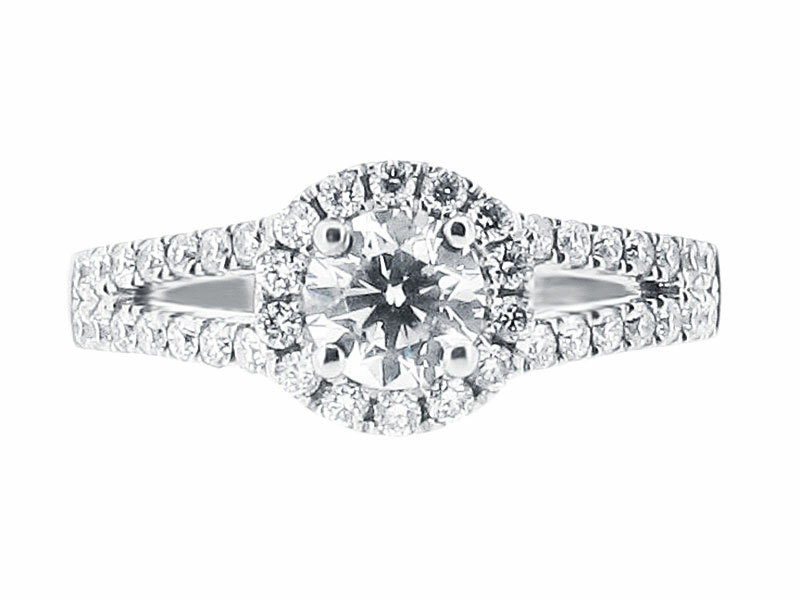 At Voltaire Diamonds, we offer a by appointment only service. Our comfortable offices just off Grafton Street are home to our carefully chosen selection of rings and our professional advisors will be delighted to assist you and show you our range. Please contact our offices at 01 677 8449 or info@voltairediamonds.ie to book your consultation.